Buachaille Etive Beag is one of the Glen Coe classics and its two peaks Stob Dubh and Stob Coire Raineach are climbed together as they are linked by a high ridge. 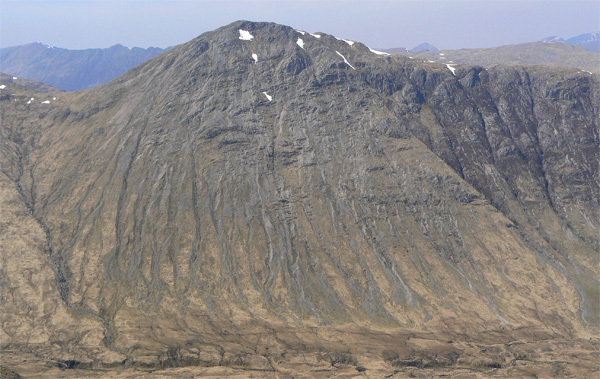 Buachaille Etive Beag is elongated SW to NE with Stob Dubh at the SW end, furthest from the access road. The N aspects of this mountain are steep and craggy but paths through the Lairig Gartain to the E and Lairig Eilde to the W give easy ascents to the col just SW of Stob Coire Raineach's summit cone. Stob Coire Raineach from the bealach west of Stob na Doire; 6th May 2008. Buachaille Etive Beag viewed from Stob Dearg on Buachaille Etive Mor. Stob Coire Raineach from Beinn Fhada. Buachaille Etive Beag taken in perfect winter conditions. 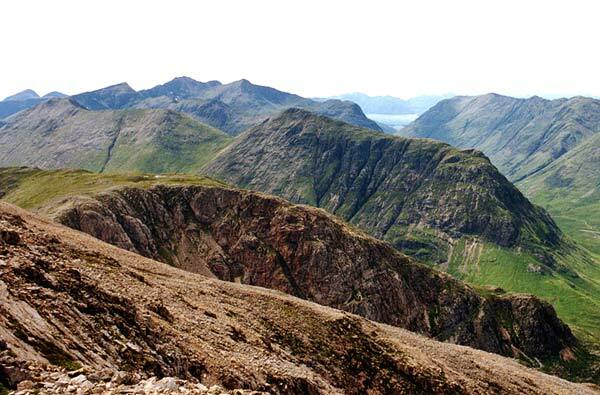 The summary information of one or more ascent routes that include Stob Coire Raineach. 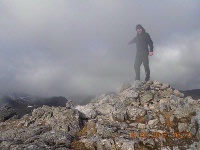 1 1105 m 10.57 km 4.5 hrs Stob Dubh and Stob Coire Raineach Moderate climb on steep stony slopes. 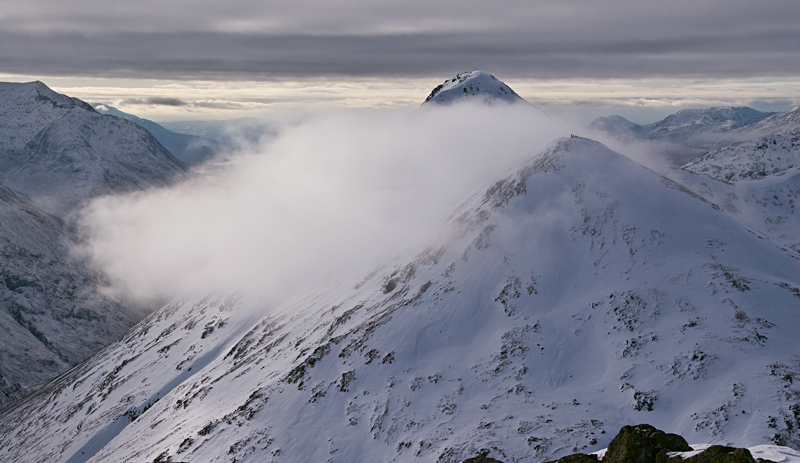 Post a few words about Stob Coire Raineach or read what others have had to say. Climbed from L.Gartain following MunroMagic route. Set off at 1pm with cloud covering the tops of all the Glencoe hills. Path not as muddy as expected. Ascent W to ridge col not very pleasant due to steep slopes combined with scree. By 230pm the cloud had lifted revealing Glencoe area in all its glory. Once up on the ridge, both Stob Coire Raineach & Stob Dubh were easy enough. By the end of the afternoon views were unbroken in all directions. Ben Nevis completely free of cloud. I must have spent a couple of hours just absorbing the tranquility & taking photos. Good, fast route back to car. Climbed on 8/8/08. The ascent to the col was pretty steep, but straightforward (boggy parts aside). The final ascent to the rocky summit was fairly easy. A quick bite and back down for the other half of the "wee bookil". The path from the A82 Lairig Eilde car-park is superb all the way to the bealach from the car-park. 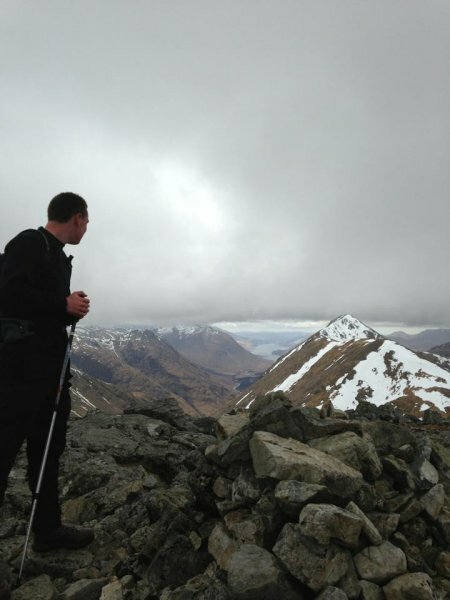 Makes the ascent of this Munro fantastically easy for a great reward of brilliant views. 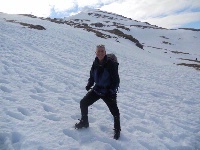 Highly recommended for inexperienced Munro climbers. From beehive cairn on A82, new car park at start of Lairig Eilde and well constructed path to near bealach starts a third of the way up, after boggy initial section.